Janet Yellen, former Chair of the Federal Reserve, shared her dislike of Bitcoin in a five-minute speech at CFA Montreal. The ex-central banker mentioned its little transactional volume, connection to terrorist activities as well as money laundering, and inefficiencies for the purpose of processing payments. As she talked about Bitcoin’s role in money laundering, any CFA with some insight about cryptocurrencies would have realized the same can be said about fiat currency. 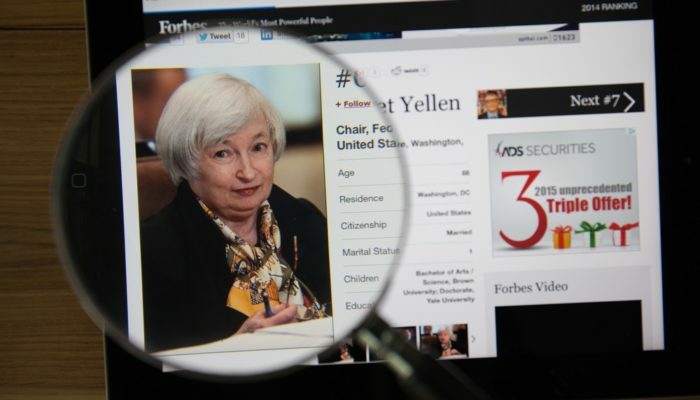 But the volumes involved in fiat speak volumes about Yellen’s bias against digital currencies. A report published by data security company CipherTrace concluded that cryptocurrency money laundering is expected to reach $1.5 billion in 2018. The figure is significant only within the digital currency world. Money laundering using fiat currency is another ball game. Danske Bank alone has allegedly laundered $234 billion worth of fiat from 2007 and 2015, an amount that is equivalent to the total market cap of cryptocurrencies. The United Nations Office on Drugs and Crime has estimated that about two to five percent of global GDP is laundered every year. An amount ranging from $800 billion to $2 trillion in current U.S. dollars. Cryptocurrency money laundering would account to 0.075 – 0.18 percent of that sum. Bitcoin is only one of 2,085 digital coins and tokens available on secondary markets. Its role in money laundering would be even lower. Yellen also told the audience Bitcoin is not a stable source of value because of its volatility issues. Its true that the nascent technology has seen a boost in value throughout the years as Bitcoin emerged to the surface, and has just experienced the first full year without gains year-over-year. The instability issue is true to the point that many analysts expect Bitcoin to continue its bullish trend to reach $250,000 (Tim Draper), $280,000 (Tom Waterhouse), and $600,000 (Sam Blackmore). But it may be only a question of perspective. It is the BTC/USD rate that is under discussion. Many see the U.S. Dollar as the problem, and in risk of being solved. Lloyd Blankfein, Goldman Sachs CEO, said fiat money is valuable because central authorities force people to use cash. By that logic, if cryptocurrencies do emerge as the mainstream option, fiat currency may meet its end.